The Bionic Man vs. 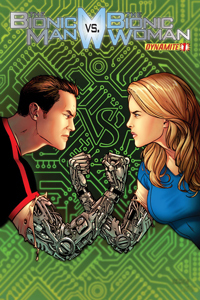 The Bionic Woman #2 is more of the same if you read the first issue. And that is – AWESOME!!! When you picture team-ups in your head, THIS is the kind of book that you picture. 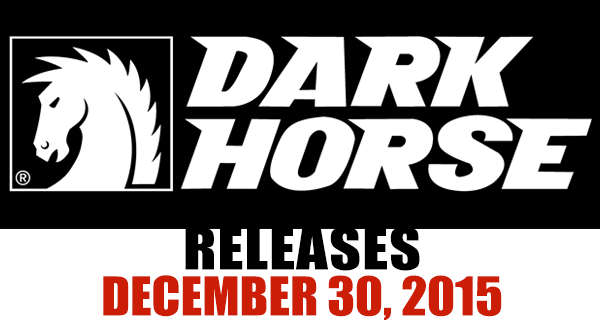 A well-told story that makes sense and brings together two of your favorite comic books into one epic masterpiece!!! I said it last month, and I’ll say it again – writer Keith Champagne should be writing the monthly series for BOTH Bionic Man and The Bionic Woman!!! Champagne does an incredible job at portraying everyone in the “Bionic” universe with dead-on accuracy. Not only that, but he makes the audience believe, in this super-powered day and age, that having bionic ears, eyes, legs, and arms IS a legitimate super power. 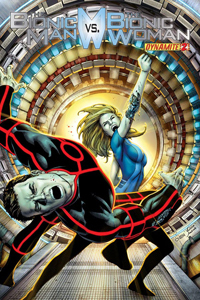 He’s done the incredible and updated a television series successfully into a fantastic comic. That is truly rare. In the interest of fairness, I should warn you all ahead of time that I am a life long, die-hard Green Bay Packers fan. With that being said, I can guarantee you that that will have NO bearing on my review and opinions of Seraph #1. 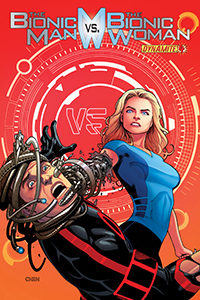 I’ve read and reviewed three of the Top Cow Pilot Season titles today and I can honestly say, that this is the one that I liked the most. It’s by far the most original, with a very interesting concept created by Chicago Bears linebacker Lance Briggs and fleshed out by writer Phil Hester. 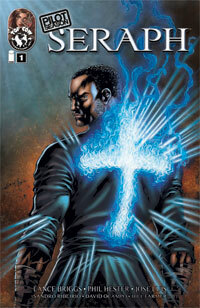 It’s a great blend of super heroics/the supernatural and, unfortunately, reality for some unfortunate people.